If you’re one of the lucky ones who have traveled outside of Louisiana’s famed New Orleans region, you know how beautiful the state can be. Today guest contributor, Suzan L. Jackson from Book by Book is here to take us on an exotic, off-the-beaten-path trip through Southern Louisiana’s Acadiana region, known as Cajun Country. New Orleans gets all the attention, but the rest of southern Louisiana is just as interesting and fun as a travel destination, especially in the cooler months when you are looking to escape from northern snow and ice. The region has a unique landscape and personality, with plenty to explore. 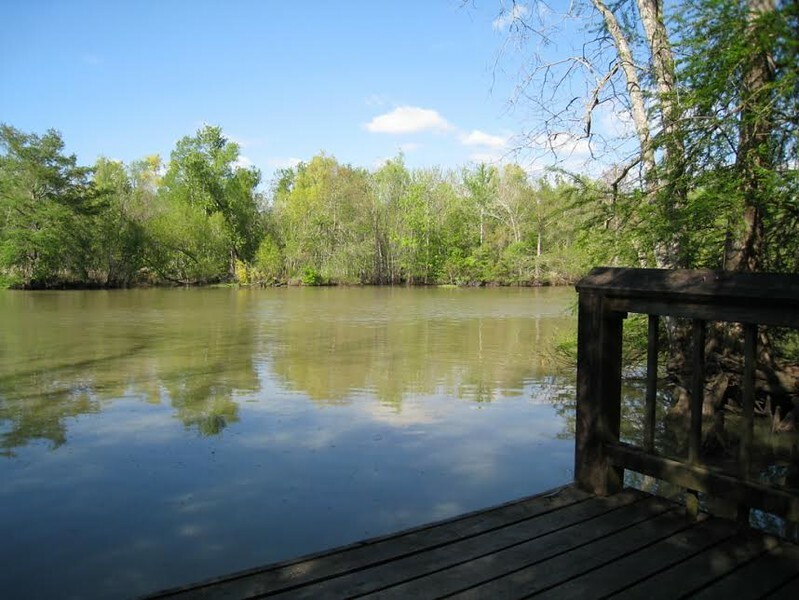 Outside, you can enjoy the bayous and wildlife for which the area is known. 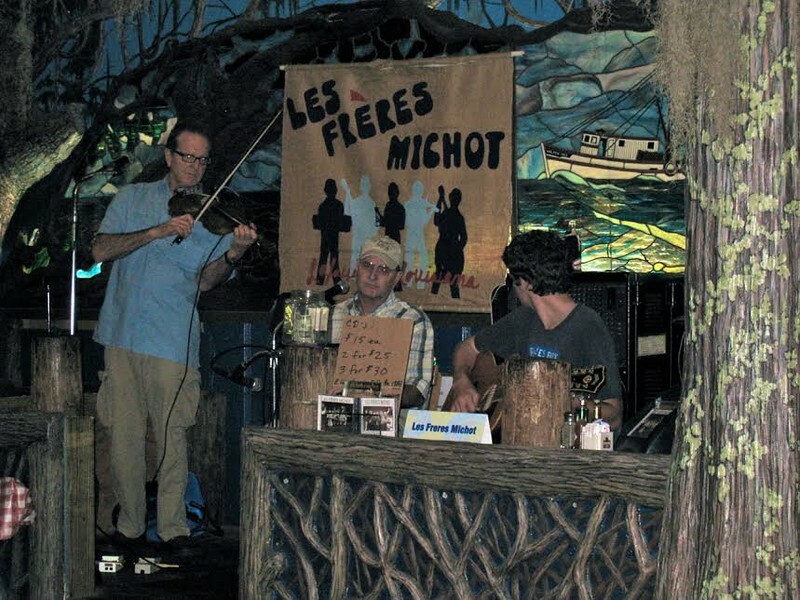 Indoors, sample the region’s famous Cajun and Creole cuisines and distinctive regional music. Everywhere you go, soak up that one-of-a-kind culture. Our tour maneuvered past these towering cypress trees covered with Spanish moss. First a quick orientation. Cajun Country, also known as the Acadiana region of Louisiana, is in the extreme southern part of the state, west of New Orleans and east of Lake Charles. Uniquely, Louisiana is divided into parishes rather than counties (it is a very unique place!). Most of the area covered here is in the Iberia and St. Martin parishes, including the towns of Lafayette, New Iberia, Breaux Bridge, and other small towns nearby. 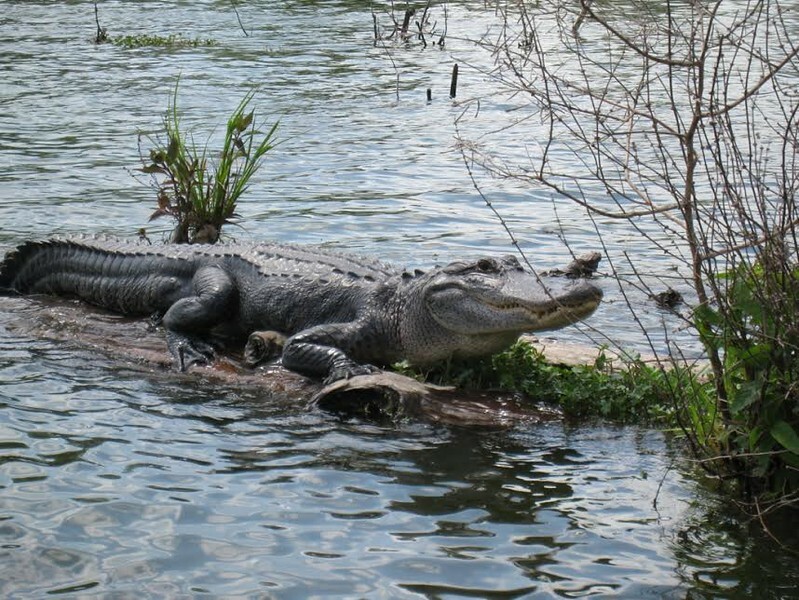 A great way to start your visit to southern Louisiana is with a swamp tour. You will find dozens of these tours offered all over the region. Our favorite is Champagne’s Louisiana Swamp Tours, located just south of Breaux Bridge on Lake Martin. They are handicapped accessible and offer tours in English or French. Their local tour guides are knowledgeable and entertaining and are very adept at finding and pointing out a wide variety of the area’s unique wildlife. 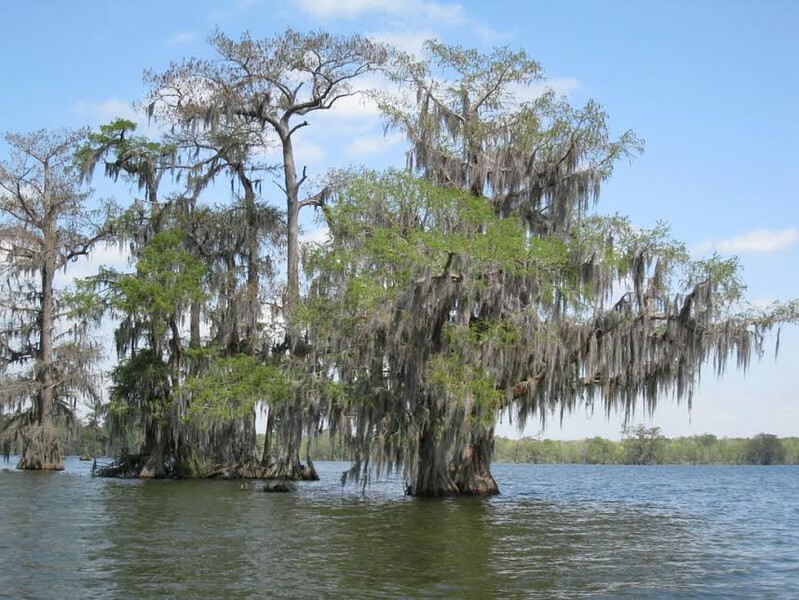 As our boat maneuvered through the bayou and across Lake Martin, among cypress trees draped with Spanish moss, our guide, Bryan, told us all about the plants, trees, bayou, and wildlife. We saw turtles, egrets, herons, spoonbills, nutria (a large water rodent native to the area), baby owls up in a tree, and yes – alligators. In fact, we saw lots and lots of alligators on the tour, including some up close and personal! One of the locals popped up to greet us on our Swamp Tour. If the swamp tour isn’t enough for you, and you would like to explore the beautiful southern Louisiana outdoors on your own, Lake Fausse Pointe State Park in St. Martinville is an excellent stop. The park offers cabins and a campground for overnight accommodations. The cabins are comfortable and well-equipped, sleep up to 8 people, and are located right over the water. You can rent flat-bottomed rowboats, canoes, or kayaks at the park and venture out onto the lake to fish or enjoy the scenery. My husband and son took a flat-bottomed boat out on the lake and saw plenty of alligators! Hiking and birding are popular activities in the park, and you can explore the park’s visitor’s center. Lake Fausse Pointe State Park is a wonderful place for nature lovers! Hot sauce fans won’t want to miss a visit and tour of the Tabasco factory in Avery Island, just south of New Iberia. Learn about the area’s unique geology (Avery Island is a salt dome), see how the McIlhenny Company has made the famous pepper sauce since 1868, and pick up some Tabasco-themed products in the gift shop. While you’re in Avery Island, you can also visit Jungle Gardens, a 170-acre botanical gardens featuring all kinds of birds, flowers, trees, and, of course, alligators. 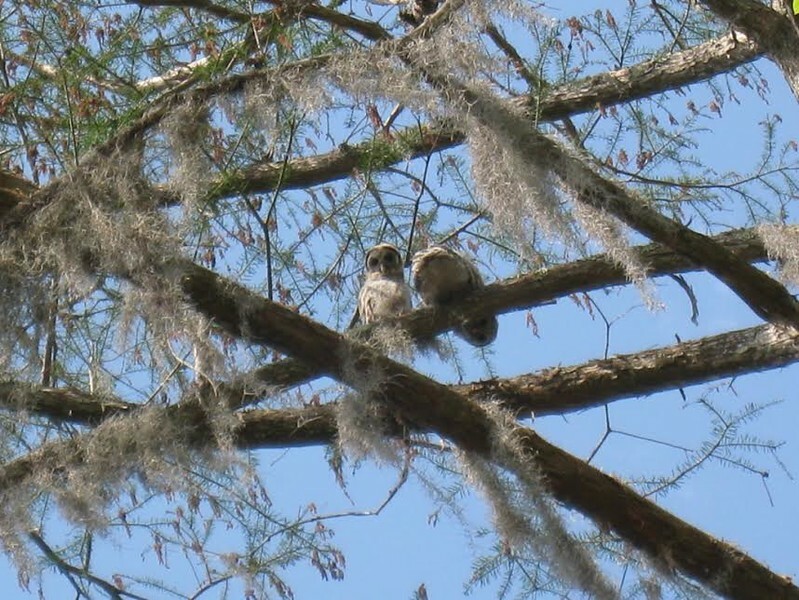 Two baby owls in a cypress tree. With all this exploring, you will be hungry…and boy, have you come to the right place! Louisiana is known for its Cajun and Creole cuisine, with regional specialties like jambalaya, gumbo, fresh seafood, delicious po-boys, and…yes, even alligator. Don’t miss trying the local specialties at Café Des Amis in Breaux Bridge. 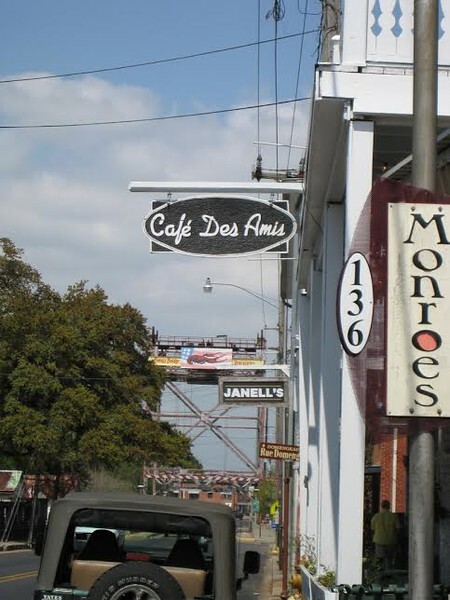 One of our favorite restaurants in the area is Café Des Amis in Breaux Bridge. The building has a rich history, and the food is fabulous! The restaurant features creative dishes based on regional specialties for breakfast (Friday & Saturday), lunch and dinner (Tuesday through Saturday), and a wonderful Sunday brunch. We enjoyed an amazing brunch there one Easter Sunday, with dishes like Cajun catfish over crawfish cornbread, covered with crawfish etouffée, and eggs over crawfish au gratin with biscuits and Andouille grits. My mouth is watering just thinking about it! The café also sometimes offers live local music and dancing (check the website at the link). If a bed and breakfast is more your style for accommodations, there are several in the area. How about a little live music while you chow down on some fried alligator? Another perfect stop for both great food and local music is Prejean’s in Lafayette. The restaurant offers a full Cajun/Creole experience. Its award-winning chefs have created a wide range of dishes based on regional specialties, including blackened fish, shrimp Creole, gumbo, and all kinds of fried seafood. We even ordered a fried alligator appetizer (yes, it really does taste like chicken). While you enjoy the delicious food, live Cajun music played by local groups is featured in the dining room, from 7-9 pm every evening and from 11 am – 1 pm on Saturdays & Sundays. Southern Louisiana aka Cajun Country is a wonderful, distinctive place to visit. Its unique surroundings and culture make you feel like you are visiting a foreign country – one that you will want to linger in. Explore the bayous, the unique flora and fauna, and the friendly culture while enjoying the region’s fabulous food and foot-tapping music. This area gets into your blood – you’ll be planning a trip back again before you know it! Have you ever explored this region of Louisiana ? Come join the conversation at the My Itchy Travel Feet page on Facebook. Or send us an email with your thoughts.